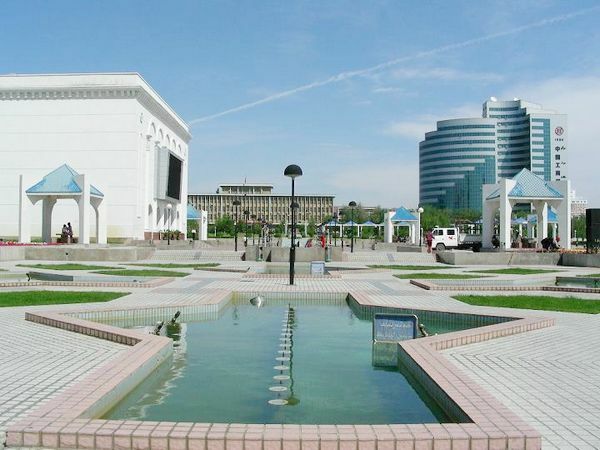 Location: Karamay is situated in northwestern Xinjiang Uygur Autonomous Region at the edge of the Junggar Basin. The Tianshan Mountains zigzag south of Karamay, and the road mileage between Karamay and Urumqi is 313 kilometers (194 miles). History: Karamay is Uygur word meaning 'black oil'. It gained this name for the Black Oil Mountain near the city proper. After the first oil well of the mountain began to work in 1955, Karamay entered a great era of exploitation and construction. Physical Features: The terrain of Karamay is long and narrow, higher in the northwest and lower in the southeast. Generally speaking, its western and northern territories are occupied by mountains, while its central and eastern parts are vast open flat spaces. Climate: Karamay has a typical continental climate characterized by a lack of rain and quite windy spring and autumn. Winter is extremely cold and summer is roasting, generating a large temperature difference between these two seasons. Comparatively, its spring and autumn are short during a year.